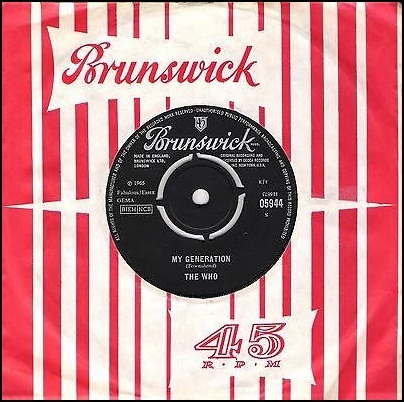 On October 29, 1965, “Brunswick” label released “My Generation”, single by The Who. This song was named the 11th greatest song by “Rolling Stone” magazine on its list of the “500 Greatest Songs of All Time”. On October 24, 2002, Thomas John “Tom” Dowd died aged 77. He was recording engineer and producer for Atlantic Records. He was credited with innovating the multi-track recording method. 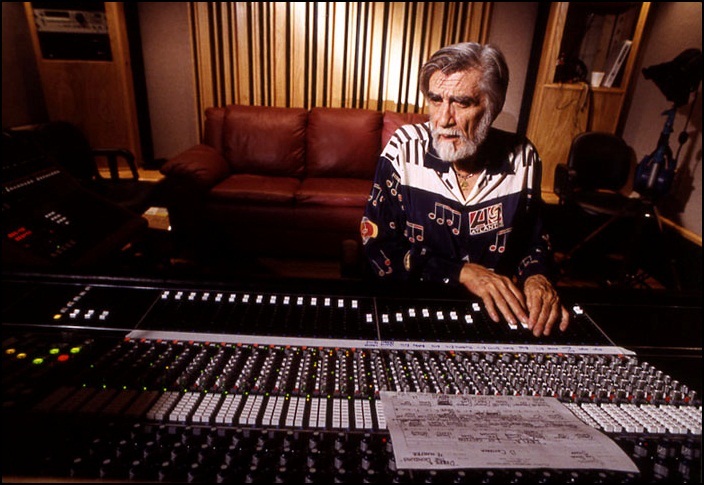 Tom Dowd recorded albums for number of famous artists including: Eric Clapton, Derek and the Dominos, Rod Stewart, Aretha Franklin, The Drifters, Cream, Lulu, Chicago, The Allman Brothers Band, The J. Geils Band, Lynyrd Skynyrd, Meat Loaf, Sonny & Cher, The Rascals, Willie Nelson, Diana Ross, Kenny Loggins, Dusty Springfield and Otis Redding. On October 23, 1966, “The Jimi Hendrix Experience” recorded their first single “Hey Joe”, at “De Lane Lea” studios in London. 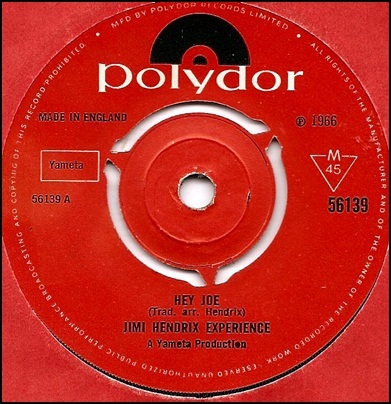 “Hey Joe” is an American popular song from the 1960’s (some sources give credits to Billy Roberts as the song author) that has become a rock standard and as such has been performed in different musical styles by number of different artists since it was first written. The earliest known commercial recording of the song is the 1965 single by the Los Angeles garage band “The Leaves”. “The Jimi Hendrix Experience” included “Hey Joe” on their 1967 album “Are you experienced”. On October 4, 1970, Janis Joplin died aged 27. She was a singer-songwriter, multi instrumentalist, arranger, painter and dancer. She started the career in the late 60s as the lead singer of the band Big Brother and the Holding Company, and later as a solo artist with her own backing groups, The Kozmic Blues Band and The Full Tilt Boogie Band. Her successful performance at the “Monterey Pop Festival”; brought her talent to a wider audience, but she became worldwide popular after the performance on “Woodstock Festival.Her extraordinary voice possibilities and electric live performances brought her nick names “The Queen of Psychedelic Soul” and “Pearl”. 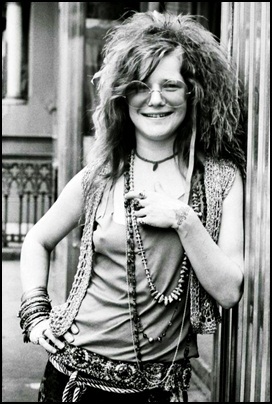 In 2004, “Rolling Stone” magazine ranked Joplin number 46 on its list of the “100 Greatest Artists of All Time” and in 2008, number 28 on the list of “100 Greatest Singers of All Time”. In 1995, Joplin was inducted into the “Rock and Roll Hall of Fame”. In her short career she sold more than 15 million albums in USA only and left a legacy of songs that includes: “Piece of My Heart”; “Ball ‘n’ Chain”; “Maybe”; “To Love Somebody”; “Kozmic Blues”; “Work Me, Lord”; “Cry Baby”; “Mercedes Benz”; “Me and Bobby McGee”, “Down on Me” and “Summertime”.